How fun! Perfect for your favorite chef. 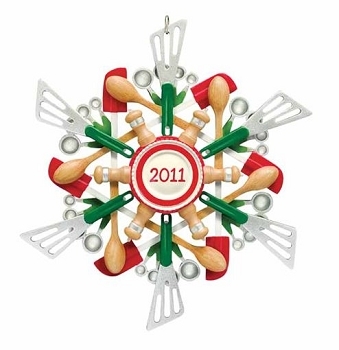 This snowflake is made up of kitchen utensils - wooden spoons, spatulas, measuring spoons, rubber spatulas, and pepper mills. Size: 3½" x 3¼" x ½"